Dancer is a graceful beauty. 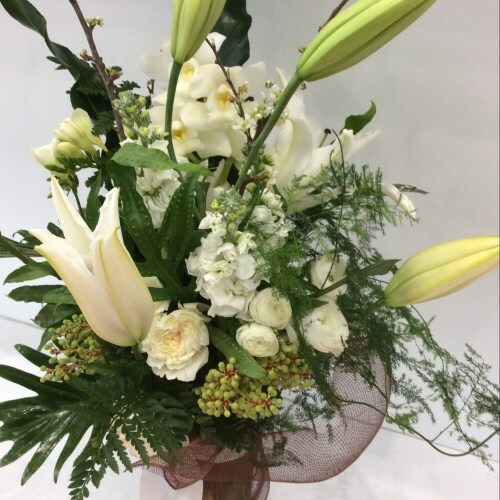 A striking display of fresh, seasonal flowers in white and green with structural sticks and greenery to add movement. Arranged directly into a quality glass vase and finished with a complimenting bow. Send this as a gift to someone special, or as a decorative addition to your home this Christmas. All orders for Christmas will be completed by Christmas Eve. Cut-off time for guaranteed orders is midday Friday 23rd December 2016.